View pictures of Bella during her first two years and her achived titles. 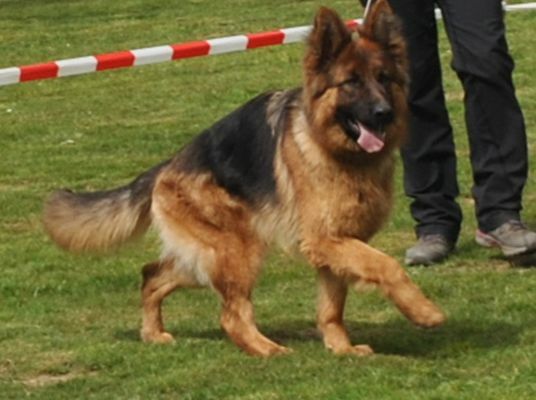 Bella had been shown at the BSHZ Germany (annual championship show; biggest show for GSD in the world) and received the title "SG". 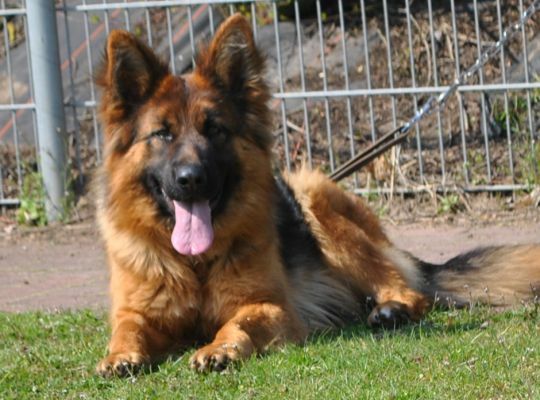 She also has been shown at a show in the months of April 2015 and received the title "Vorzüglich"
The sire of Bella`s first litter will be "Buddy vom Kuckucksland"